Lexus engineers are working on reducing the engine’s capacity by around 200cc to 4.6 litres and power to 450bhp. The idea is to improve low-range torque, although even with the reduced power output the GS-F will become the most powerful road-going Japanese saloon ever built. The GS-F will be fitted with Toyota’s first torque vectoring differential. Similar to the diff used on BMW’s M cars and the likes of the X6 SUV, the ‘torque split unit’ actively apportions drive between the rear wheels to aid handling. A similar system is also expected to be fitted to the new SC. The GS F has been long rumored, and at the Detroit Auto Show, even Lexus representatives were whispering about the possibility. The timeframe seems reasonable, and it wouldn’t surprise me to hear that Toyota was working on torque vectoring technology. The new SC will be unveiled in mid-2014, although the current car is due to finish production this July, leaving a four-year gap between the two cars. However, the next model will be a hybrid, powered by a 5.0-litre V8 and an electric motor driving the rear wheels only. Can’t see the SC going on a four-year hiatus, even if it’s dependant on GS-F technology. 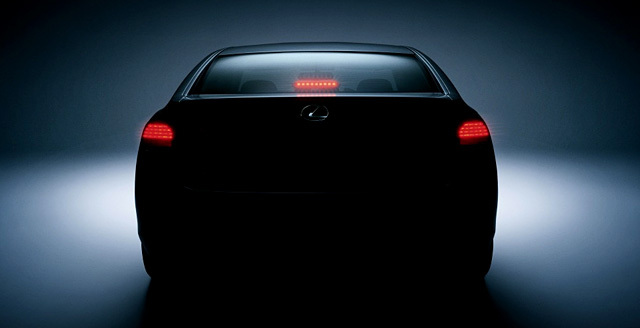 That would be a long time for Lexus to go without a true sports coupe.